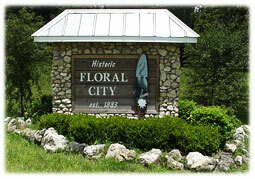 Floral City Florida has a rich and colorful history. The original survey and layout of the village area of Floral City was conducted in 1883 and the town was incorporated between the years of 1907-1911. A diorama reflecting the buildings and the surrounding terrain from that period is on display at the Floral City Heritage Museum. 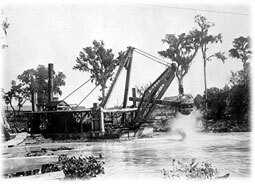 In the late 1890s, the local economy of Floral City was prospering from a full-blown phosphate boom. At first the mineral was extracted by hand with pick axes, later by steam shovels. Miners and workers came from as far away as Georgia and South Carolina. 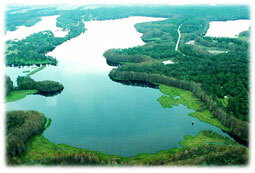 The population quickly grew to 10,000 residents. That was more than the population of Miami at the time. At the onset of World War I, the export of phosphate stopped and the mining operation halted. The population quickly moved away to find other work and the city was unincorporated. Today the population of Floral City is over 5,000 and offers a laid back small town feel. The Floral City Heritage Council has established Heritage Days, an annual educational event to celebrate the history of Floral City the first weekend of every December. The Floral City Heritage Council volunteers dress in period costumes of the 1890s and act as guides to the historic home tours and the museum/country store. 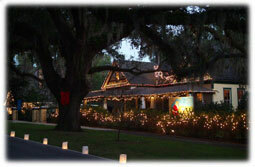 At the event you can take a night ride in a horse drawn wagon down the famous Orange Avenue (also known as the Avenue of Oaks) lined with luminaries. Attendees enjoy singing carols from the open front porches of historic homes under the venerable century-old oak trees. The weekend long event also features Florida Folk Life Day with early Florida daily living exhibits, demonstrations, and a tour of historic homes. The day of festivities and education also includes an antique car show, folk music and stories and country barbecue food. 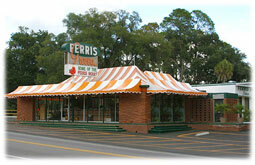 Floral City is also home to Ferris Groves, the finest name in citrus. L. G. “Doc” Ferris arrived in Florida in 1925 with dreams of becoming rich. In 1931 Doc began planting citrus trees in the rich, hammock soil of Duval Island, which had formed over thousands of years from decayed vegetation of primeval forests. The trees took root in the fertile ground and, aided by Doc’s magnetic personality and innate talent for marketing, the business took off. Today you can still buy fresh citrus fruit at the landmark fruit stand in the center of Floral City. 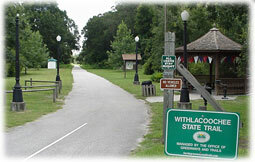 Floral City is also known for its famous Strawberry Festival, and the Withlacoochee Rails to Trails bicycle trail that goes through the center of town.